What a nice fellow Minerva is, and an intriguing producer as well. I talk with him about his upcoming Car Crash Set release, and what he’s been up to lately. Hear snippets of the tracks while ya read. DD Hello Minerva! How are you? M First off I just want to say thank you for this opportunity. I’m good thanks, it’s just been a crazy month sorting out a lot of things right now to do with my music, and also my personal life. I just got married last weekend, which was amazing but it meant I’ve had limited time in the studio, but now everything’s slowly going back to normal. 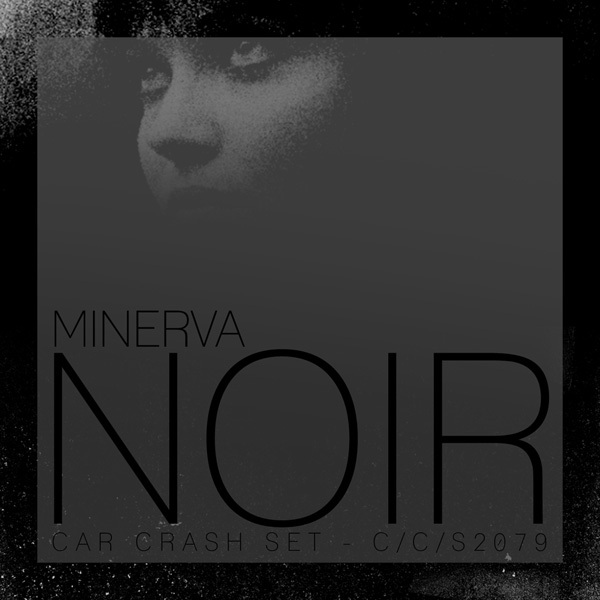 DD I receive promos from Car Crash Set, and your forthcoming “Noir” release is in the latest one. Terrific batch of songs! I have a show coming up and will definitely feature something from you, probably “Step Forward”, love that little vocal sample. How would you describe “Noir”, for those just learning about your work? M Thanks that means a lot, really glad you liked it and I hope it goes down well! I’d definitely describe “Noir” as a mix of my sounds, and hopefully for someone listening for the first time, that it shows how I don’t like to be restricted to one scene or genre. Overall “Noir” hopefully showcases the direction I am going in with tracks like ‘Rethink’ and ‘Step forward’, crossing the lines between different styles of Bass Music, at least I hope that’s what comes across. DD I feature a lot of artists from the UK, but haven’t been there yet. What’s the environment like for artists over there? Do you have a crew you stay close with? M In the cities like London, Manchester, Bristol etc.. there is always an amazing buzz and little scenes popping up here and there. I was in Manchester nearly 3 years ago studying but had to move to a village an hour north of London due to family commitments. Since then I have had to rely on my friends in the cities for news on nights and exciting producers to check out, which is frustrating at times, but also a breath of fresh air in a way, due to being able to be completely isolated if I wish and work on music that isn’t overly influenced just by what’s the big thing that week. DD I also enjoyed your Oh My/Heart City release on Car Crash Set last year. How did you connect with the label? From what I remember, I sent them a couple of rough tracks and they got back to me saying they liked my stuff, and have I got any new tracks I wanted to send over for them to have a listen to. I had just finished both “Oh My” and “Heart City” that week and sent them over. I had an email back saying that these were “the ones!” and it all went from there really. I honestly can’t thank them enough, a brilliant label to be part of and always putting out amazing releases and pushing new sounds. DD What’s been keeping you inspired lately? M Just seeing how everyone is bouncing ideas off of each other, especially now with websites like Soundcloud. Whether they are from a full on Techno background or into writing soundscapes, it’s inspiring seeing people branch out and mixing new ideas together without feeling trapped into making one sound. M Hopefully people will like “Noir”, I finally finish off all the tracks I have on the go, and also to keep an ear out for some really exciting projects in the pipeline. Starting work with a couple of amazing producers and I can’t wait to get some of the tracks out there.